• Large head which is counterbalanced by a 15-inch, 125-gram grip, which increases stability. 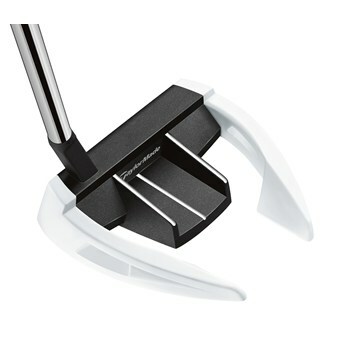 • The putterhead has an MOI measurement of 6,000 to help resist twisting on mis-hits toward the toe and heel. • PureRoll Surlyn face insert designed to promote smooth and consistent roll as the ball leaves the face. • Simple head design and contrasting crown colors. • Short slant neck hosel.